Heavy, 12" diameter steel sanding disc features a precision steel arbor that is carefully attached to eliminate bothersome run-out and wobble. 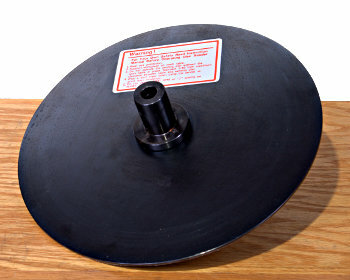 Just install the sandpaper disc of your choice, slip the arbor onto your Mark 7 or Mark V (or Power Station) spindle and go to work. 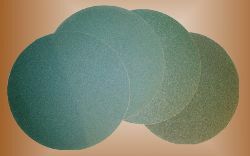 Top-quality sandpaper discs made with a durable, open coat aluminum oxide abrasive that is fast-cutting and resistant to loading for a longer life. Open coat with super-sharp ceramic abrasive particles to cut quickly without burning. 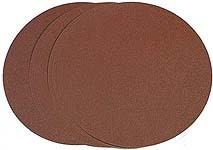 5 to 10 times the life of aluminum oxide abrasive. 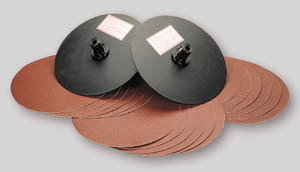 Shopsmith's Hook-and-Loop Disc Sanding System provides a cushion for cooler, more efficient sanding. It lets you change sandpaper discs from grit-to-grit in seconds without difficulty. 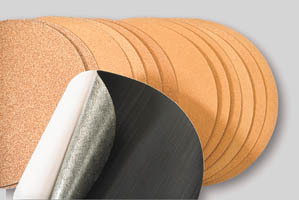 Give your projects a smooth, professional look with this 20-piece sanding package. Extra discs let you have different grits mounted, ready for work.